Favorite Activities: Aside from sports, I enjoy hunting and fishing immensely. I love the outdoors and the hill-country in Texas. It's not really an activity but spending time with my family is always great to do. What do you think will be the most difficult part about living inside the Big Brother house: The most difficult part will probably be not seeing or communicating with my family. Oh, yeah, and the fact that there will be cameras on you 24/7. Which past Big Brother cast member did you like most: I loved Donny from season 16. I mean, who didn't? Donny could have easily been labeled as the "underdog" at the beginning of the show due to the fact that he was essentially the outcast of that group. Any time there is an underdog, I automatically root for them. I find it deeply satisfying when I see others prove their doubters wrong. What are you afraid of: Drowning and failure. Finish this sentence: My life’s motto is… If you really want something, you'll find a way. If you don't, you'll find an excuse. What would you take into the house and why: Lotion for my dry skin, tissues so I can blow my nose, and magazines for entertainment. 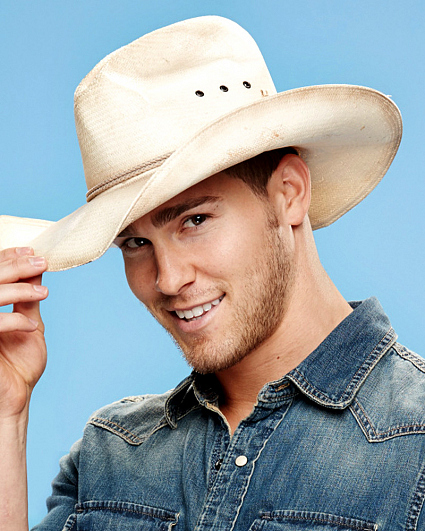 Clay grew up in a small Texas town on a ranch where his mom rescued exotic animals. A former college football player for Texas A&M University, he graduated in only three-and-a-half years and says he’s smarter than people give him credit for. Currently, he is getting his masters in Sports Management. Watch Clay's bio video here!